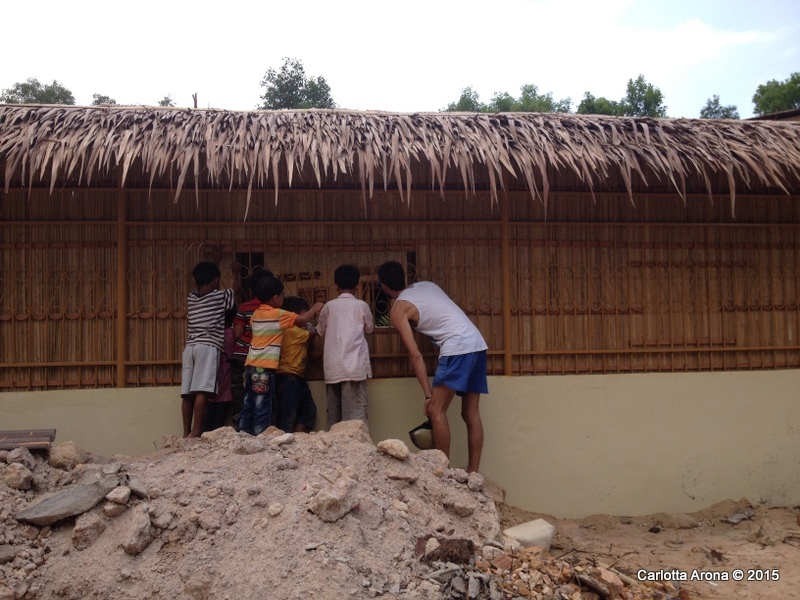 There is a lot to see around Sihanoukville. Ancient ruins, lush jungle, white beaches. 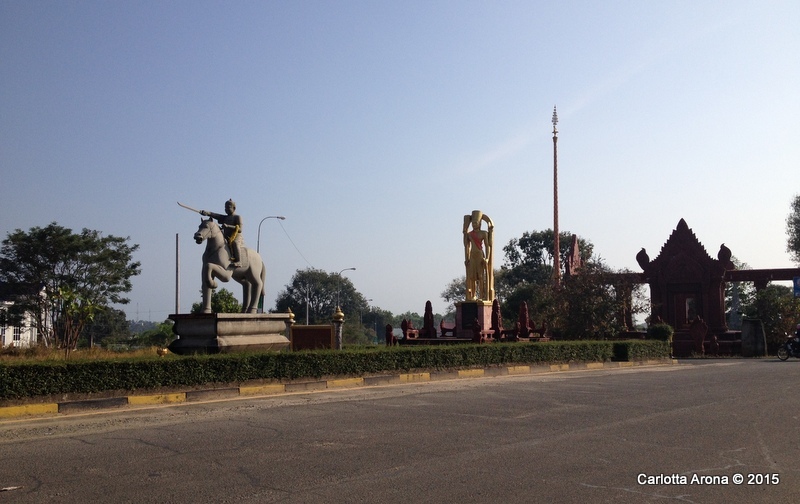 Welcome to Cambodia, Kingdom of Wonders! 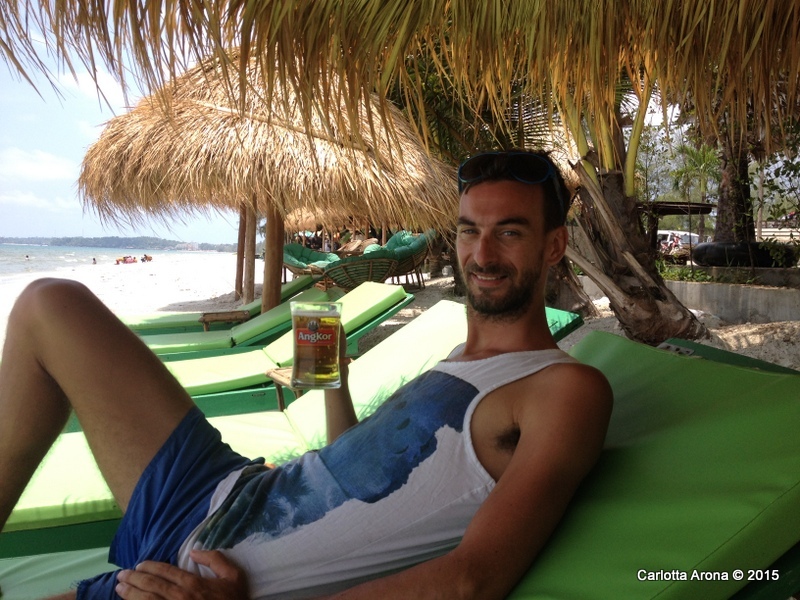 Tourism in Cambodia is picking up at a very fast pace. More and more tourists come every year to discover the beauties of a relatively unexplored and less developed Country. Infrastructures are still quite basic compared to its neighbouring countries Thailand, Laos and Vietnam but they are evolving fast. Coastal Cambodia is probably the most developed area in terms of tourism after Siem Reap. 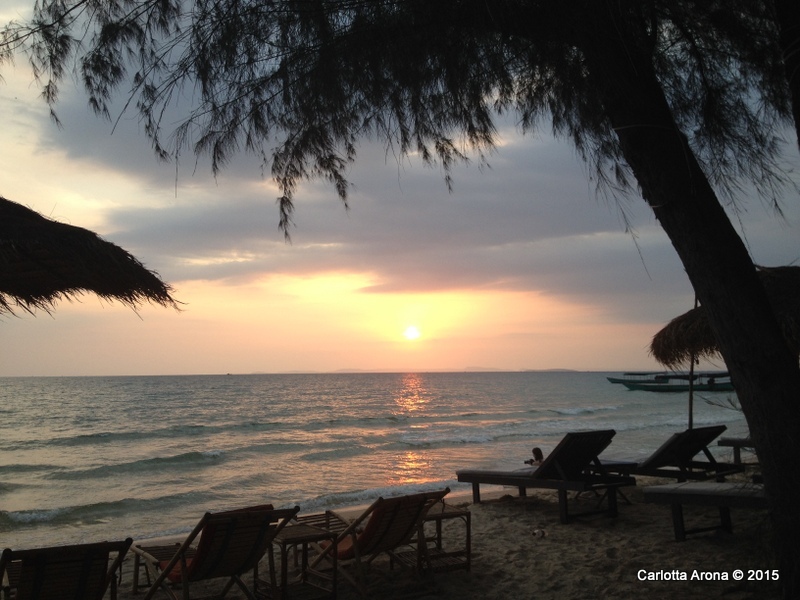 Sihanoukville is the main beach town, a favourite for local tourists and foreigners. It offers several different sandy beaches and it is also the gateway to the Islands and other less populated tourist towns such as Kampot and Kep. Tourists of any age come to Sihanoukville, however, this upcoming place is a favourite among younger travellers looking for a good time and endless parties. The town offers, in fact, many venues open till early hours in the morning and they all offer a very wide selection of cheap beer and cocktails. It seems like the favourite activity of the younger crowds is drinking and partying. Who blames them though, Cambodia probably offers the cheapest prices for alcohol in South East Asia. Particularly in Sihanoukville, the price of beer ranges between $0.25-$1 for a drought of tasty locally brew Angkor or Cambodia. I have happily enjoyed a few myself. They are the perfect thirst quenching on a hot day! Sometimes it feels like water just doesn’t do it! Personally, Sihanoukville is not one of my favourite places. The town seems to be packed with rubbish left at any corner and a strong smell of sewage constantly fills the air. Where is the sweet smell of Frangipani and Jasmine flowers??!! Having said that, the many different areas around town offer something interesting and sometimes charming. The main point of reference in town is the Golden Lion traffic circle with six roads leading to the different areas of town. A great way to get around Sihanoukville is by scooter. These are the two busiest beaches in town. Ochheuteal is a very long and narrow beach and Serendipity is at the arching northern end of the beach. Most of the hotels/hostels, restaurants and bars are located around these areas especially on the road leading to Serendipity beach (Serendipity Road). Most parties and late-night bars are around these areas. It is over a kilometre long of white sands but most of it is closed for a development project. A small part of it is accessible to the public and offers a few beach BBQ huts. Victory Beach sits at the base of Victory Hill. The Beach is partially closed but still accessible in some points. It offers beautiful sunset views. Victory Hill area is popular with hotels, guest houses and a late night scene (including entertainment for naughty people :)). This area is approximately 5 minutes by tuk tuk from the beaches. There are several hotels, guests houses, bars and restaurants. Here is where you can find the main shopping area with also banks and few larger supermarkets selling Western treats. This is by far the best area around Sihanoukville (at least in my opinion). It is located few kilometres from the main town area. It is approximately 15-20 minutes by tuk tuk from Serendipity area. The beach is very long and wide with fine white sand. It is the less touristed area of town but it is growing fast. The beach is divided into Otres 1 (the north part) and Otres 2 (the south part). Otres 1 offers more choice of accommodation, beach bars and restaurants. Otres 2 has fewer facilities and it is quieter. There’s an empty area between the two, offering only sand and trees to stay in perfect harmony with nature. Otres Village is up and coming. Few hostels and guests houses are located along the river and many new ones are under construction. Tourists in this area are generally the hippie types. During high season the popular Saturday Otres Market is worth a visit. It is a western hippie market featuring clothes, jewellery and food stalls, live bands and DJs going on till the early hours. Sihanoukville is growing at a very fast rate. Constructions are taking place just about everywhere in town. Foreign investors, especially Chinese and Russians are putting lots of money down for large tourist developments. At the moment there is still so much empty land around but within the next few years, it will all be built on. It is sad in a way, especially when many of these tourist facilities employ foreigners in exchange for food and accommodation instead of giving work to the locals. On the other end, hopefully, this growing tourist business will bring more money and wellness to this country where a huge number of people still live in striking poverty. In Otres Village: Wildside Villas, tree house style small resort with a swimming pool. 4 private bungalows and 2 budget rooms surrounded by a beautiful tropical fruit & veg garden. Perfect place to chill. There are an in-house bar and restaurant. Accommodation price between $15-$40. Serendipity area: there is a huge choice of accommodation from dorms to private rooms. The Tired Gecko on Serendipity Road offers new double private rooms with A/C, hot water and TV for as little as $15. Have seen a few accommodation here around the same price but this one offered the best quality/price. Lots of choices even if for my personal taste the quality of food here is not as good as in other places I have visited, for example, like in Siem Reap. However, in Otres 1 Papa Pippo makes one of the best pizzas I have tasted abroad! Definitely worth a visit. It is also a resort, you can book a room by clicking here. The local food market in Market Street (Makara Street) just off the Golden Lion traffic circle, is almost dormant during the hot daytime hours and it becomes alive from sunset till late at night. Here you can find reasonably priced local food such as fried noodles and rice, rice and noodle soup, and all sorts of unusual Cambodian delicacies such as fried frogs and bugs! It is definitely worth trying. It is always busy with locals but also few foreigners can be spotted. 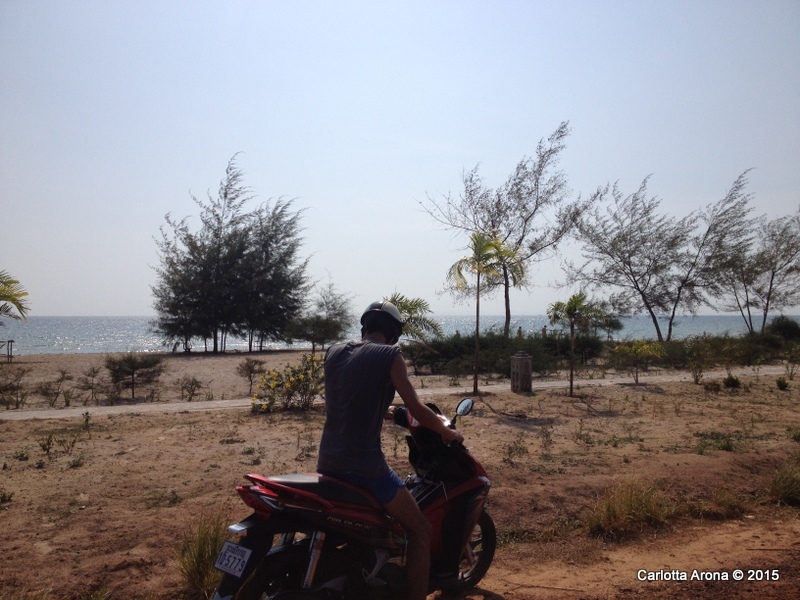 Best way to explore around Sihanoukville is to rent a motorbike and drive around. Make sure to wear a crash helmet and beware of the bribing police. Don’t let them get money from you! Just have few bucks in your wallet, anyway if you wear a helmet and don’t speed they should have no reason to stop you. Another favourite activity here is scuba diving or snorkelling. This is not one of the best places where I scuba dived but a visit to the local underwater world is definitely a must. A day out on the boat will keep you cool from the scorching heat of mainland. The reefs of Cambodia are a little underestimated, you can find pretty cool fish and huge barrel sponges. Lots of nudibranchs, puffer fish, scorpionfish, yellow tail barracudas and jacks, just to name a few. Visibility could be a little sketchy. It is a great place to learn to dive due to shallow depths and lack of currents. Best dive operators: The Dive Shop and Scuba Nation, they both offer PADI courses and daily fun dives. 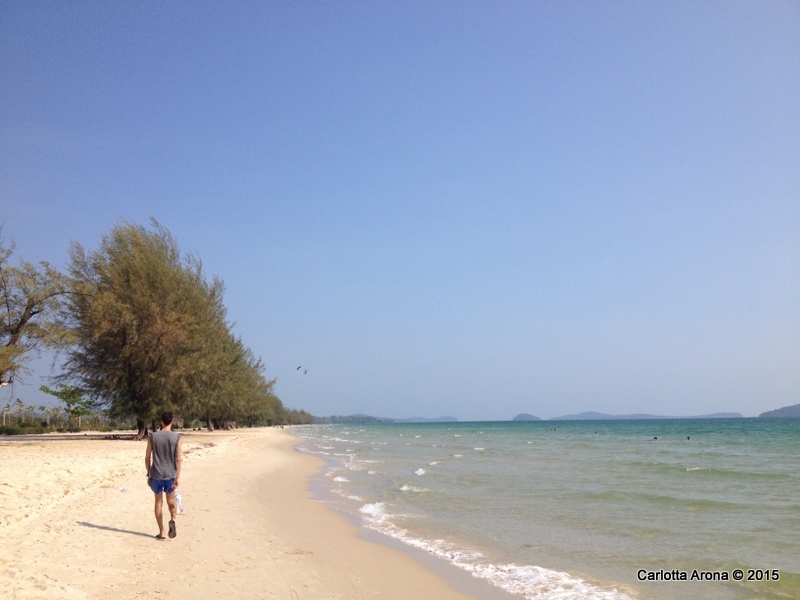 Sihanoukville is definitely worth visiting. Don’t miss it!